March 2018 – Welcom again to HDR News! – Photography is changing in a big way. Established pros are switching camera brands and mirrorless cameras will eventually elbow out the top pro cameras. Yet, what remains the same is the ever-progressing creativity of you, the photographers. In this issue of HDR News we touch on all those issues along with early results in the revered Sony World Photography Awards, a look at new, invisible watermarking technology and a jaw-dropping video. Let’s get going! 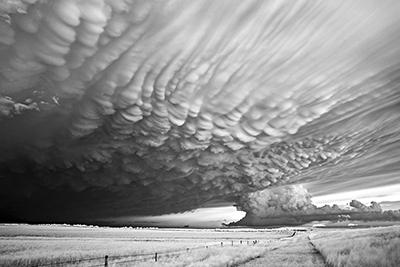 The grand behemoth of the photography contest world is the Sony World Photography Awards. If you want to measure your own photography against these selections or you just want to enjoy an excellent image collection, check out this selection of contenders. The final awards will be announced on April 19. We recommend that you use the full-screen options noted in the article’s intro to really enjoy the work. 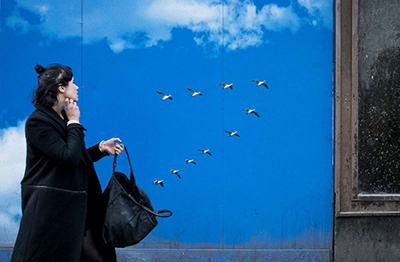 See the World Photography Awards selections HERE. You knew the day was coming. It was just a matter of time before Canon and Nikon delivered a pro-level mirrorless camera. For Canon lovers, that day is here, sort of. This article reports of Canon admitting the camera is in development and that a few are out there in photographers’ hands for testing. 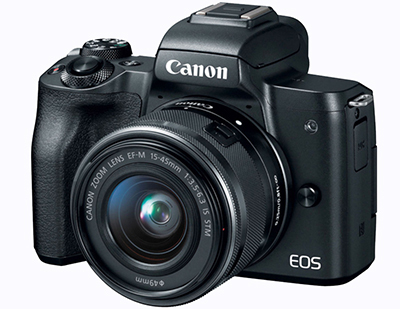 Get a peek at Canon’s pro mirrorless camera HERE. 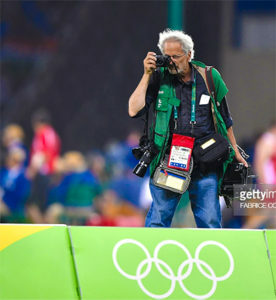 Of course, all the great photographers shoot Canon or Nikon: not really. Photojournalist legend David Burnett just made the switch to the Sony a7RIII and a9. ““I had been using Canon gear which met pro standards (6D bodies, a large variety of glass) but I felt they were making small improvements on adequate gear for the last few years,” says Burnett. “The 1D X was very capable but too big for me.” This is a harbinger for where camera technology is going. Dive into this article further to learn all the reasons Burnett made the switch. Learn about Burnett’s decision HERE. If you click on only one link in this email, this is the one to click. This video is about when you’re happy that your DSLR does video. In the winter of 2014-2015 Dutch photographer and filmmaker Jan van IJken noticed that starlings were staying in the Netherlands instead of flying south. 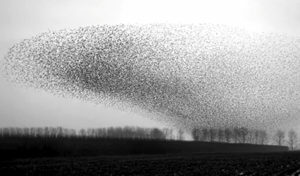 Thankfully he made this stunning example of “starling murmuration”. 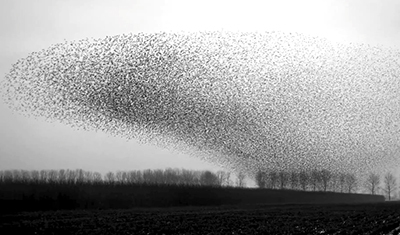 See the starling murmuration HERE. Every now and then you create an image out of pure serendipity. A set of rabbit ears shoot out of your subject’s head, skinny legs appear below Santa’s rotund body and more. This is the best collection of lucky images we’re come across. For sure, you’ll get a good belly laugh if you click through to this article. If you’re a pro or semi-pro photographer you’ve no doubt had your work stolen off the Internet more than once. AI programs are now incredible in being able to remove your watermark from the image. Now there’s a fix: invisible watermarks. 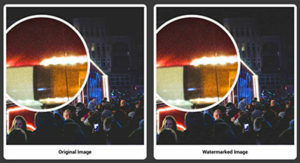 Learn about invisible watermarks HERE. 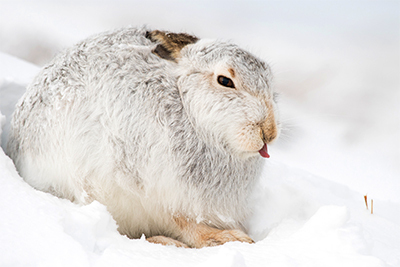 We’re still scratching out heads about the tenacity and imperviousness to bad weather this dedicated pro demonstrates when he captures images of Mountain Hares. “(His) name is Morten Hilmer and (he’s) a full time professional wildlife photographer and former special force soldier in the Arctic Dogsled unit – the Sirius Dogsled Patrol. He writes this article in the first person and has two well-made videos to show you on his quest for photos of the white critters. Go on a “hare” raising journey HERE.